Since 2006, Matt Parris has been creating what he calls “pure foods” in Ashville, NC. He has been dedicated to using fresh and local ingredients in his foods. This dedication to creating high quality products shows through in his Roots Hummus. In keeping with the philosophy of connecting food and community, his artisanal food approach has earned Roots Hummus a status as “The Microbrew of Hummus.” One of our favorites is the sweet and spicy combination found in Roots Mango Sriracha Hummus. The sweetness from organic dried mango is combined with garlic, red chilies and cayenne pepper to give the sriracha spiciness while ginger, lemon and lime provide a nice zing. 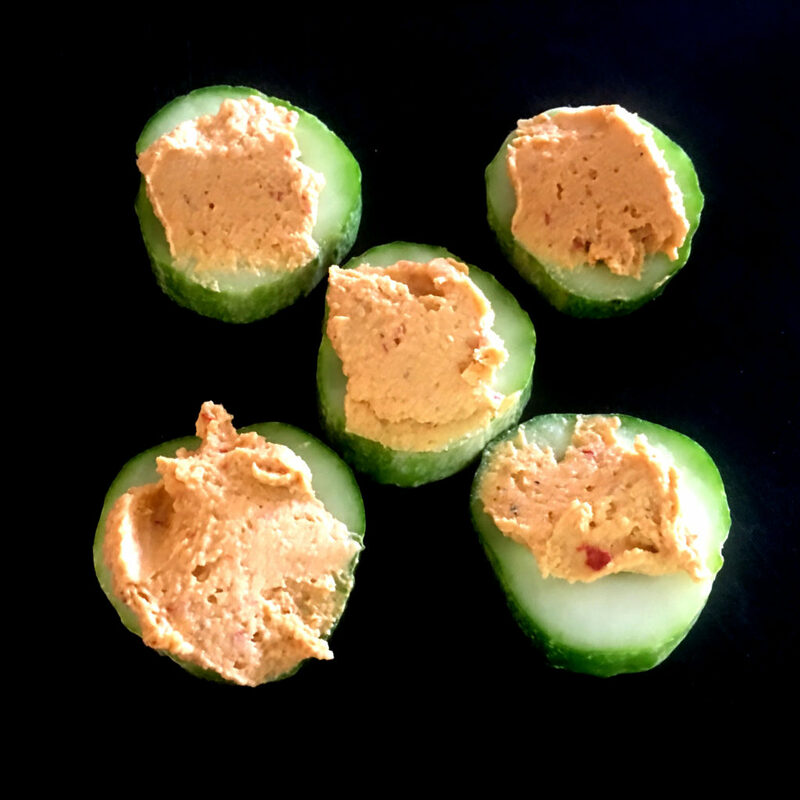 In addition to the more traditional dip for crackers or veggies this hummus, you can put a dollop on top of grilled lamb or chicken, as a condiment in wraps or pitas or one of our favorites, spread on top of sliced cucumbers. We even used it as a base for a veggie flatbread pizza topped with goat cheese. You can see where to find Roots Hummus products in your area by visiting their website below. 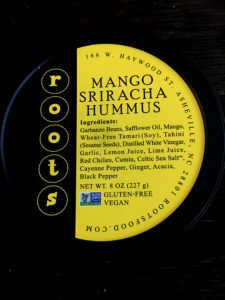 Also see our recipes using Roots Mango Sriracha Hummus below.